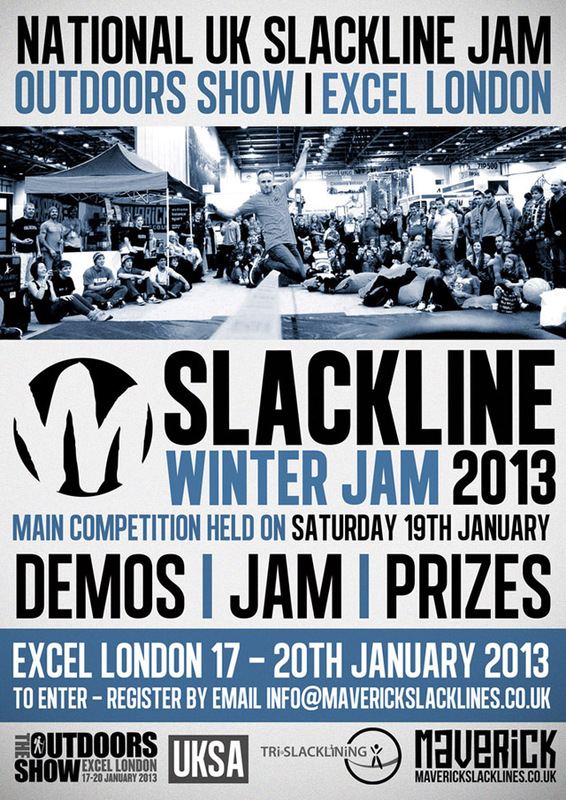 Maverick Slacklines invites you to be our guest for our Winter Slackline Jam on Saturday January 19, 2013 at London Excel. 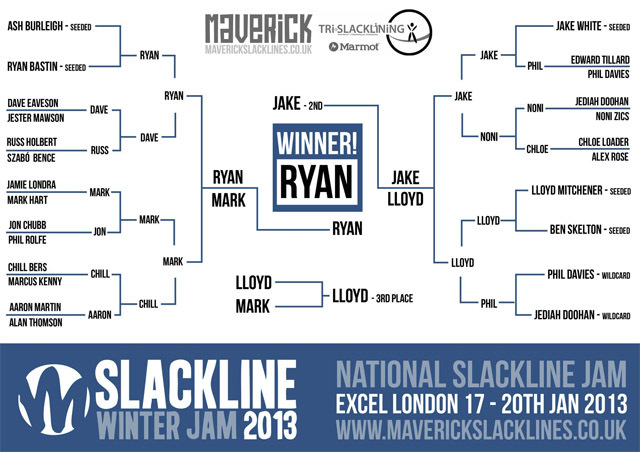 Held on the Saturday afternoon, the Jam will showcase the best of Slacklining in the UK. With cash and product prizes for the most innovative and trickiest tricks. Be quick as we only have a limited number of FREE ENTRY show tickets, which will be allocated on a first-come first serve basis to competitors. Even if you don’t want to compete, come along and see how the Slacklining scene has developed in the last year. The Outdoors Show 2012 was an incredible experience with all our Slackliners encouraging each other to achieve bigger and better tricks. We are so excited to see what 2013 has in store and how much further the slackers are advancing this sport. Our Maverick Slacklines team along with Tri-slacklining will be on hand throughout the four day show to give demonstrations and impart their top tips through daily workshops. You’ll find us right next to the climbing wall.